Hello, community! 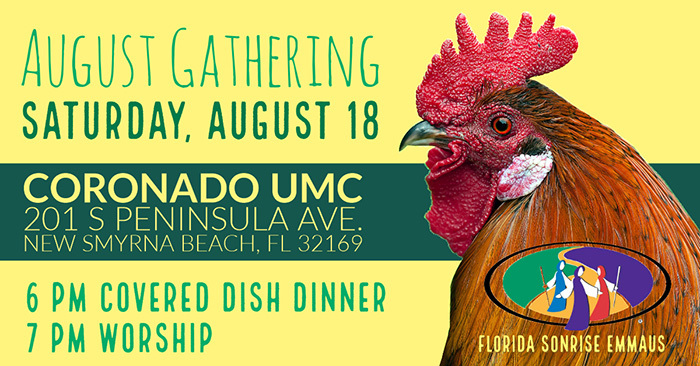 Our August gathering will be at Coronado Community UMC, 201 S Peninsula Ave, New Smyrna Beach, FL 32169, on Saturday the 18th. Covered dish dinner at 6 followed by worship at 7. De Colores! my husband and I moved from Palm Beach Co to Volusia Co 12 years ago. 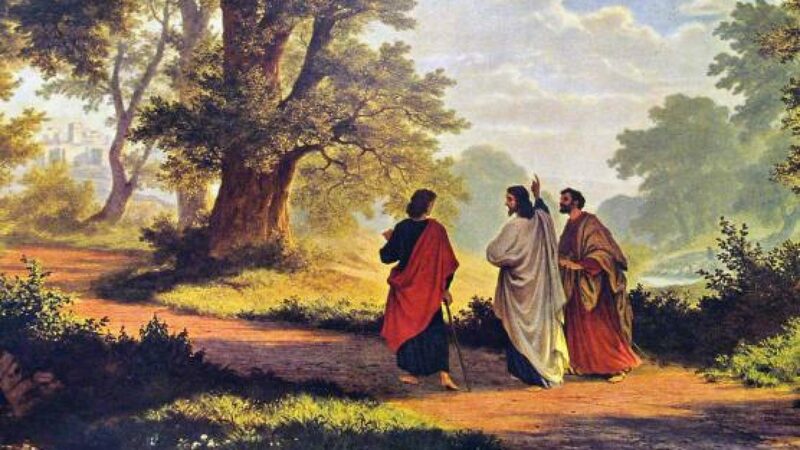 We are Emmaus members. We would love to stat getting back involved in Emmaus. Would it be ok to come to the Gathering? Hi Wandalyn – Absolutely! We would love to have you come to our gatherings and be a part of our community. Looking forward to seeing you.